TJ's roots go way back to the forties when he led a jump blues band. He was a multi talented musician particularly on piano, trumpet and tenor saxophone. He also owned the record label Puff, and a music publishing concern. In his spare time he also ran a landscaping business! 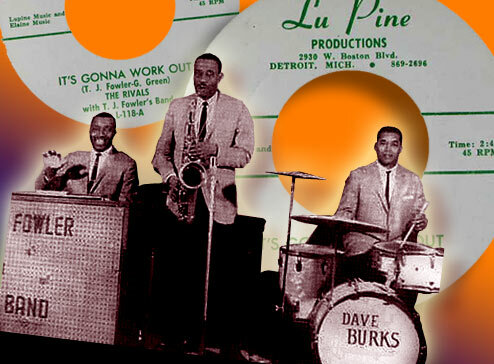 In 1964 he was leasing Puff material, by River Rouge group the Rivals, to West's Lupine label. TJ recorded a fair number of solo discs throughout the fifties for such as Paradise, Nat and Sensation, but his latter recordings were for New York labels.